SIC SUMMER SCHOOL from SIX on Vimeo. These words capture the hopes for the future of a new generation of women in Turkey’s Samsun region. We were stood in a women run cooperative on the outskirts of the biggest city in the region, listening to how, by generating own income, these women were redefining their roles in their society. We were in the Samsun region for the third SIC summer school, which we hosted in partnership with the Middle Black Sea Development Agency (OKA). The focus was to explore the topic of ‘Regions as social innovation ecosystems’. The Summer School (SUMSIC) was an opportunity for conversation and peer learning, through three days of practical, hands-on problem solving workshops around local challenges. Samsun is the capital city of the Middle Black Sea Region in the North of Turkey. It is surrounded by agricultural land. The population is traditionally farmers and producers, for whom farming and local produce has been a long tradition. Despite this, the region has a growing urban population which is growing in 4 cities. There are increasing economic and social differences between rural and urban areas, and the region is struggling with challenges such as safety, abuse of women, seasonal employment and lack of infrastructure. 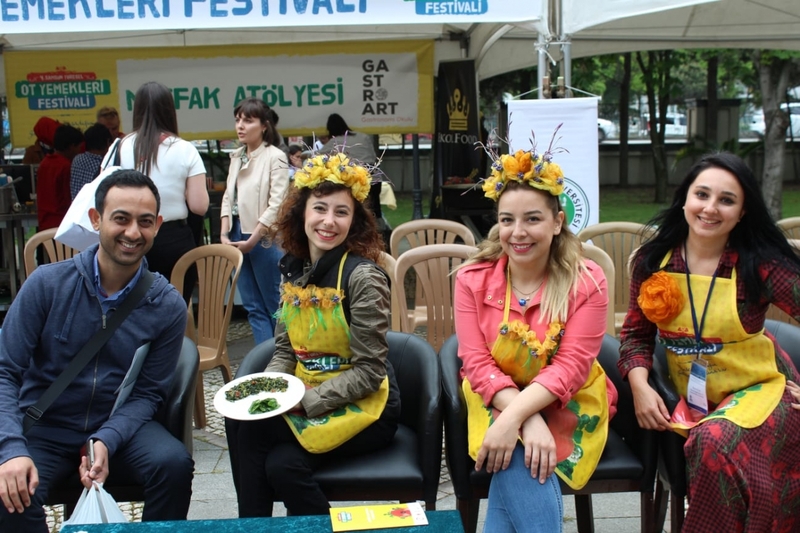 Social innovation is still a new concept in Samsun, despite a rich tradition of innovative action to tackle the societal challenges in the region. The terminology of social innovation is primarily understood in terms of occupation and output. For instance transforming traditional farming practices in social responsible ways, or cultivating organic produce. What is the SIC Summer School? SIC was invited to host a Summer School by the Middle Black Sea Development Agency (OKA), who had attended a previous SIC event in Italy. The SIC Summer School (SUMSIC) is a new model for local and European actors to learn from each other and co-create suggestions together.  The model has been developed by the SIC consortium, and has already been delivered in Tilburg, The Netherlands and Bologna, Italy. It’s purpose is to connect researchers, citizens and local actors (public authorities, industry and organisations) working in social innovation (even if they don’t name it as such ). Together, participants codesign solutions to local challenges, which are presented at the beginning of the 2 days. Each summer school includes inspirational talks from European and local experts, visits to local projects, and design thinking workshops run by experts from SIC. The Samsun school highlighted local, and global examples including: Buğday Derneği who are developing a new model for Ecotourism; Good4Trust ​an online system for creating a prosumer economy for ecological and social sustainability; and Rootslab, a movement of young women activists in Lebanon who imagine and test innovative ways to change their communities for the better. We visited two women cooperatives. The first was AMESIA – Amasya Bee Cooperative, an example of best practice of a cooperative for women in rural development. Not only do this organisation help the woman raise own income, it also helps them to come together and express themselves in their family and social context. We also visited Sürder, Sürmeli Village, a non governmental organisation established in 2014. Their purpose is to serve the village, providing produce, social assistance and a sense of solidarity among its members, whilst helping promote and develop the common cultural values of the community. We learned from the local women in the cooperatives about there is a saying in Turkey which was interpreted as “what comes to the hand leaves the hand” and which (said with a smile!). It describes how, in some cases, where only the man is earning a salary, women don’t have insight into either what is earnt or what is spend – they only deal with the ‘budget’ they are given for household. This is why the rise of the woman cooperative movement in Turkey is so important. Women are driving and managing these new social initiatives, which shift the power balance between who owns and who spends in a family. This is the basis for changes in decision-making processes, increasing equality between genders and within the family relations. Furthermore, this provides woman with a space in society outside of the home, which, in some cases, makes them less vulnerable. A job in the corporative is not just a job. The women are proud and successful. Employment of women helps overcome societal solitude, provides for a more balanced labour market, and a higher income for families. Why is it important to have an event like the Summer School in Samsun? Creating change can feel like standing in front of a wall, which is impossible to climb. We tend to find it easier to trust and commit to the perception of the problem than to engage with solutions available. In countries and communities with hierarchical cultures and powerful institutions, citizens and small organisations sometimes distrust their own value add for societal change. The SUMSIC gives people confidence to take action, demonstrates that coming from different backgrounds with different kinds of knowledge is an asset for change. The SIC summer school in Samsun also demonstrated the power of people collaborating, co-creating solutions to local solutions, and their motivation to making something for someone else. Following the summer school, actors in the region have started discussions about how to connect and link their efforts by hosting more explorative learning events. The institutions have recognised each other, and seen the value of collaboration. As a regional body, OKA, is well positioned to help create political, economic and social value, as well as striving to become an ‘embedded brain’ within society. They have reconnected with the assets and resources available in across Turkey and in their region in particular and are now looking at funding opportunities.